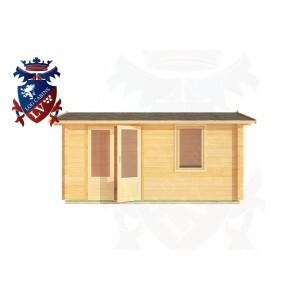 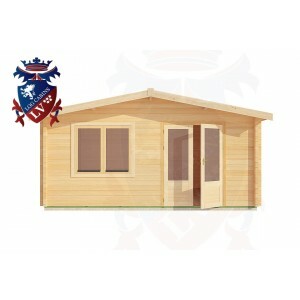 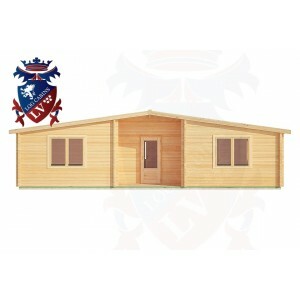 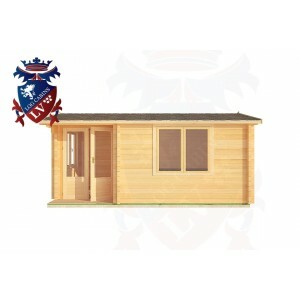 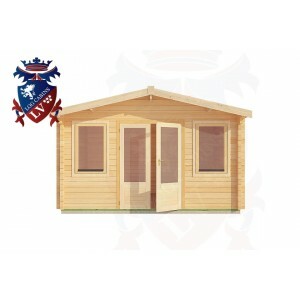 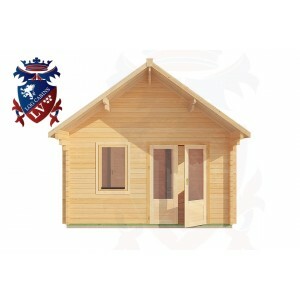 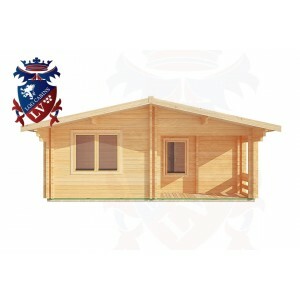 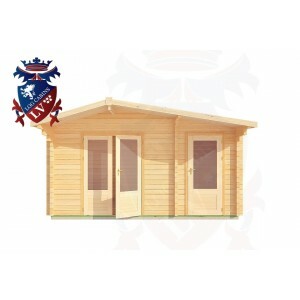 The Euro Log Cabin range from Log Cabins Sussex offers probably the widest spectrum of sizes from which to choose. Starting at a modestly priced 2m x 2m cabin - the “Four Oaks” to a very substantial 10m x 6m Log Cabin - the “Willingdon”. 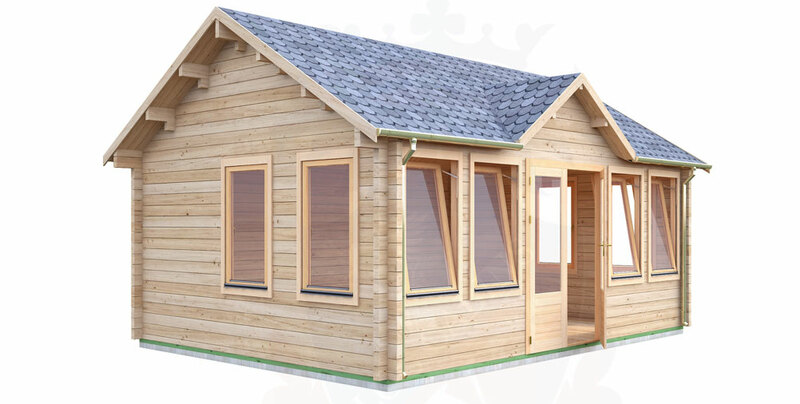 There are 26 Log cabins in the Euro range with a fantastic wide choice of wall thickness for each cabin that will be very difficult to match elsewhere.Depending upon the size of cabin, the wall thickness choice can be from 28mm right up to “Twinskin Log Cabin” 44mm + 44mm. 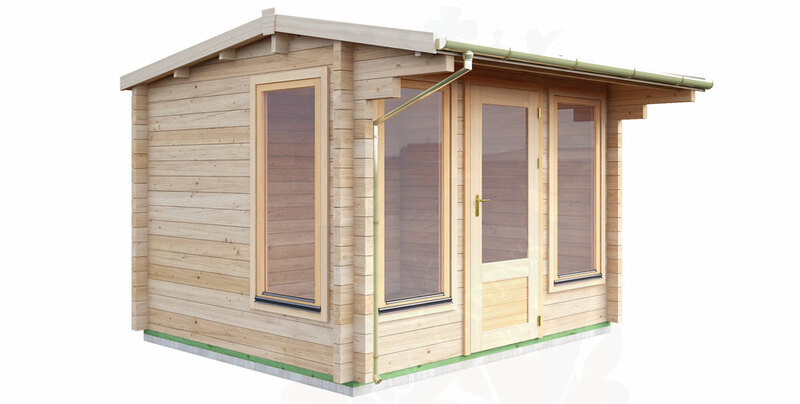 From our experience, smaller Log cabins can be produced from 28mm thick walls and as we slowly progress to larger cabins, thicker walls are introduced to ensure safety and stability. 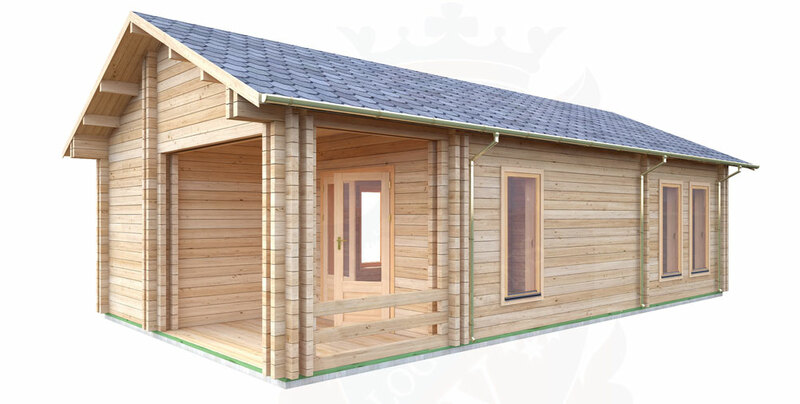 Whilst much of the competition will supply you with a 19mm or 28mm thick wall on a cabin measuring 5m x 4m, we at log cabins Sussex do not consider such a wall to be stable enough for that size cabin and we recommend a wall as thick as 44mm to be sure of stability, safety and longevity. 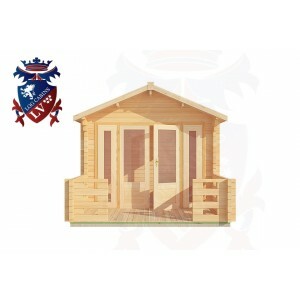 Top grade, slow grown, Siberian Spruce, considered to be probably the best quality timber that is available, is used in the production of every log cabin in this range. 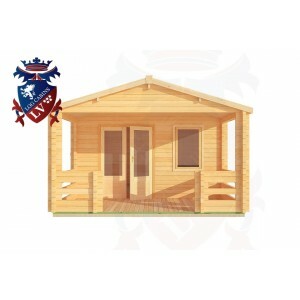 With sensible early protective coating applied soon after erection, you can be assured of many years of good service. 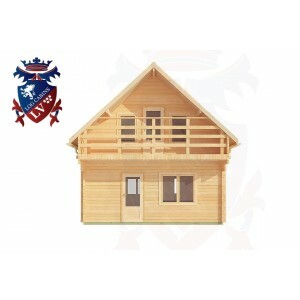 Here again, many Log Cabin manufacturers in the UK or dealers use sub grade, lower quality timber, mostly from quick ground young fast grown pine that will have a much greater tendency to warp, twist or split after erected, thus causing all sorts of problems later on that can become extremely costly to rectify. 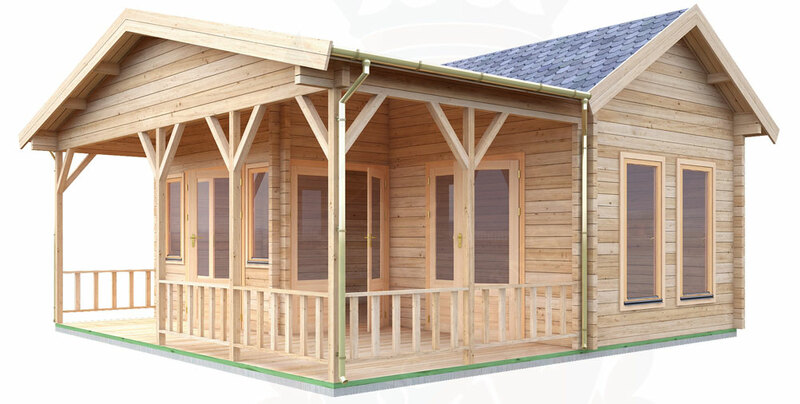 Log Cabins Sussex use 28mm tongue and groove flooring as standard in every Log Cabin compared with much thinner flooring that is still being used by many of our competitors. 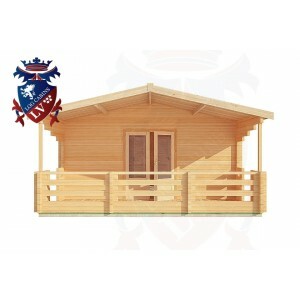 Some of the Log Cabins in the Euro range, such as the “Log Cabin Winchelsea”, “Log Cabin Beachlands”, “Log Cabin Hampden Park” and “Log Cabin Hartfield” have built in terraces across the full width as an additional feature. These offer the opportunity of outside relaxation whilst still having the protection of the overhang. 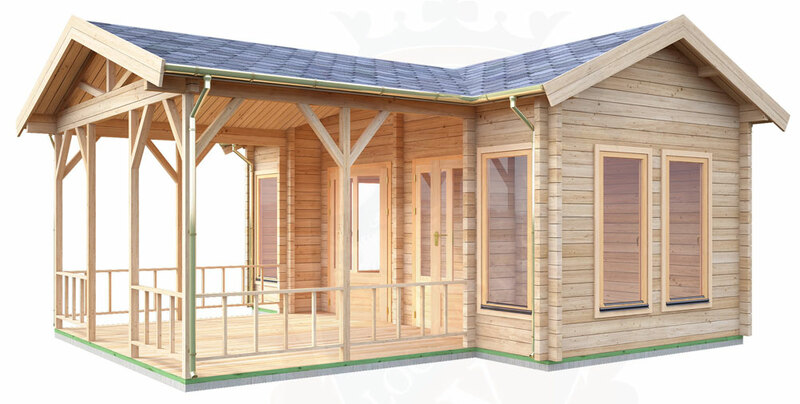 One intriguing feature in the Euro range is found in the “Barcombe Mills” Log Cabin. 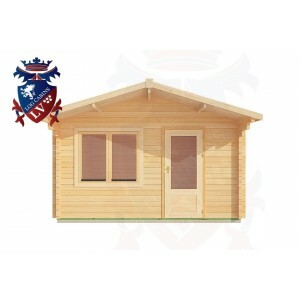 This is a 4.5m x 3m Cabin with two independent separate front entrances. 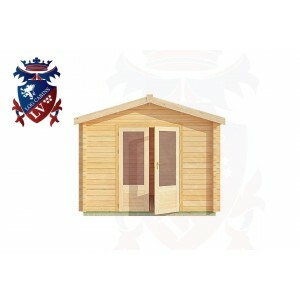 One section totally private from the other offers enormous scope for a number of different uses. 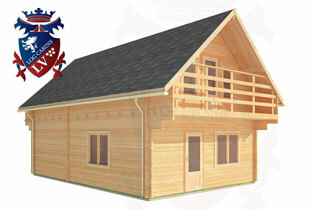 The “Log Cabin Silver Hill” is another unique Log Cabin being a chunky 5.5m x 8.5m two storey building with a commanding terrace projected from the top floor into a good area of room space set into the deep pitched roof. 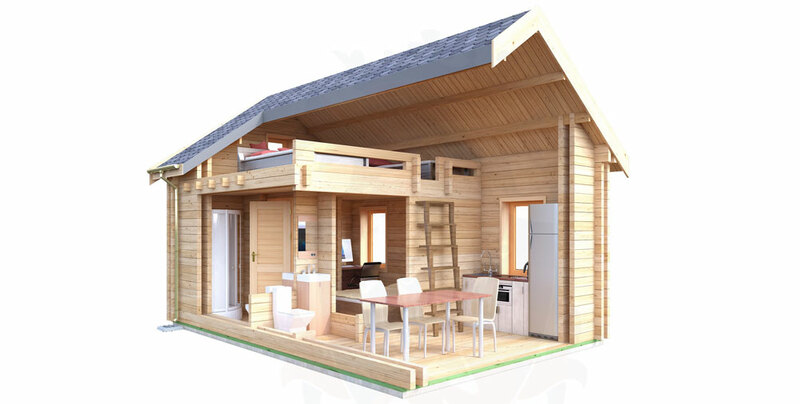 Making this cabin into a class of its own. Log Cabins Sussex bring to you the Euro range that has been formulated to satisfy the most discerning who are looking for that something a little different yet can still be assured of high quality, well thought out manufacturing processes. The Euro range Log Cabins have been carefully pre-cut and arrives at your doorstep complete with instructions and plans. 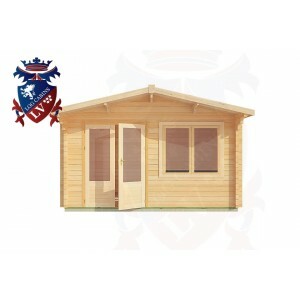 If you are reasonable adept at DIY you will find the assembly process both enjoyable and rewarding. 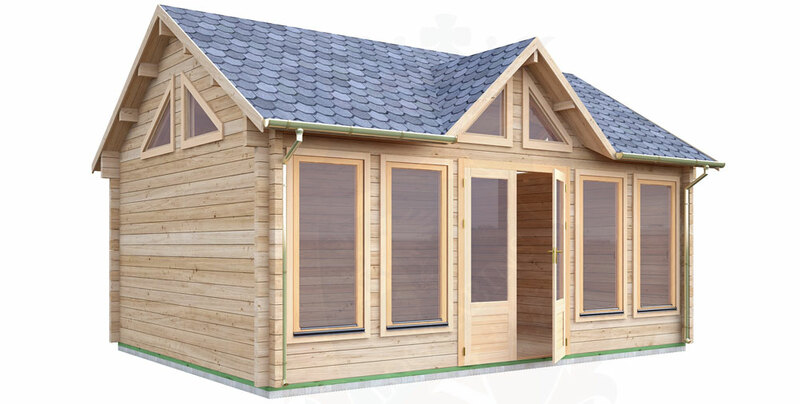 If, however, you prefer not to get involved with the installation, we can deploy a team of installers to carry out this work for you.